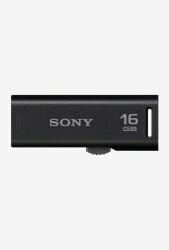 Backup valuable data and carry it on-the-go with the Sony 16 GB Micro Vault Pendrive. It features USB v2.0 that quickly transfers heavy files. Housed in a compact body, this pen drive easily slips into your pocket.